You can see this one coming a mile away. Filmmaker Rakeysh O. Mehra, Bollyland’s golden boy post-Rang De Basanti, is either going to infuriate people with his latest venture, or he’s going to enchant them, with little room for a middle ground. For Delhi 6 is a cinematic oddity if ever there was one. For starters, there’s little to no plot to speak of; the film is more a series of exploratory vignettes, rather than one solidified linear narrative. Secondly, it eschews conventional plot devices in favour of whimsical, if not always convincing, metaphoric elements. Thirdly, Mehra takes A.R.Rahman’s quietly alluring song score and weaves it unobtrusively through the tapestry of the film, instead of making each one into a painfully show-stopping ‘Number’. Though I suspect there won’t be many enthusiastic takers for this slice-of-Old-Delhi-life film, it is still worth a look for the things it gets right, of which there are many provided you are willing to look. The title comes from the area of Old Delhi in and around Chandni Chowk and the Red Fort – postal code 110006, which is where our protagonist, ABCD twentysomething Roshan (Bachchan), lands up from the US of A, accompanying his ailing grandmother (Rehman) to the home she had left behind. Except that Roshan is, at least initially, not really a protagonist at all, but more of an observer, taking in the sights, sounds, smells, and myriad faces of the motherland he has little notion of (“Is this the one with the golden deer?” he enquires when watching a fiery production of the Raam-Leela). One of these faces belongs to the lovely Bittu (Kapoor) a neighbour’s daughter who dreams of becoming the next Indian Idol, even as her conservative father (Puri) is readying her for an arranged marriage. Then there is the matter of the mysterious Kaala Bandar (ripped from actual Delhi headlines of a few years ago), an apparently supernatural primate that is terrorizing the locals. When the old values of Delhi start to clash with its new avatar, and the rampaging monkey’s shenanigans lead to communal strife, Roshan is finally forced to abandon his role as passive onlooker and take his community’s fate in his Motorola-wielding hands. The first thing that strikes one almost immediately about the film is the absolute passion with which the titular city is presented. In cinematographer Binod Pradhan’s hands, Delhi takes on a near-mystical visage. Bathed in warm, golden tones, lensed in impossible wide-angles, the Delhi of Delhi 6 is not merely a city but a living, breathing entity. This is Mehra’s own milieu and he goes to great pains to capture its essence on screen, and to articulate what makes it unique – the good, the bad, and the baffling. And so you have many a wonderful little moment, each one significant in its own way but not dwelt upon, avoiding detriment of the pacing. The recurring motif of the aforementioned Ram-Leela as it takes on rather ominous and surreal proportions, traffic coming to a halt as a holy cow decides to birth its calf in the middle of a busy road, Bittu’s pas de deux with pet pigeon Masakali (one of the most disarming musical moments you are likely to see this year), a household covered in ridiculous bits of fluff as the old man dhunaks mounds of cotton wool – with these, and more, one can sense that Mehra’s penchant for nostalgia is pure in its intent. He is not merely painting pretty or clever pictures for their own sake, but is using the pictures to illustrate deeper themes at work. When Roshan captures the entire breadth of the once-imposing Red Fort on his minuscule mobile phone camera, it’s a nod towards the dubious phenomenon of globalization – the ancient, though not always wizened, soul of Delhi is being out-run by its increasingly modernized inhabitants. When he sees his grandmother buying an earthen pot that will house her ashes after her cremation, he wonders “Maut ke liye kyun koi shopping karta hai?” Himself the outcome of an inter-faith marriage, Roshan rings the mandir bells and says his namaaz at the mosque with equal ease, and nobody questions either act. When vested interests do fan the flames of communal disharmony, it is the social peripherals, the outcasts, who are the voice of reason amid the din of discord: Roshan the outsider, Gobar (Kulkarni) the town simpleton, Jalebi (Dutta) the untouchable, and the Mad Man with the mirror that nobody but Roshan seems to understand the meaning and importance of. And in another stroke of genius, a local being interviewed on TV about the kaala bandar, says with great confidence, “Ji haan, hum ne dekha hai; woh invisible hai.” If the monster is indeed a metaphor for the evil that men do, then this line says it all about the danger that lurks in the shadows but never quite takes discernible shape. 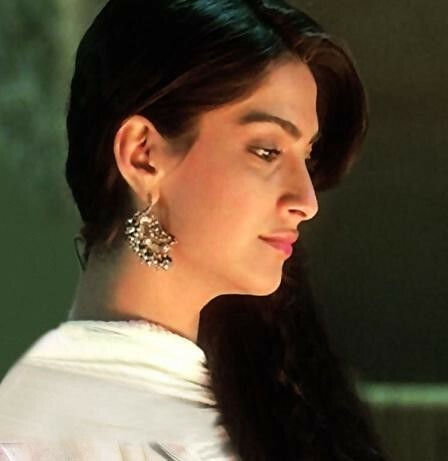 Though Delhi 6 can come off as self-consciously arty at times, it is still a film with its heart in the right place, and some nice little performances to boot, not to mention the refreshingly non-airbrushed beauty of luminous Sonam Kapoor. I reiterate that not many are going to buy into its near-oneiric ethos, but, despite its flaws, for some of us, Delhi 6 is a strangely affecting piece of work.